We were asked to make a tea cosy for a local event so used the opportunity to experiment with some more illusion/shadow knitting. 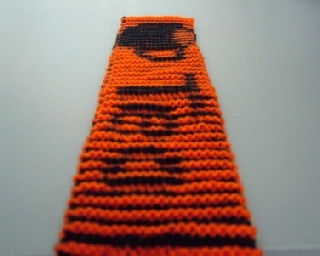 It is difficult to identify a difference between shadow knitting and illusion knitting. The terms seem to be used interchangeably. 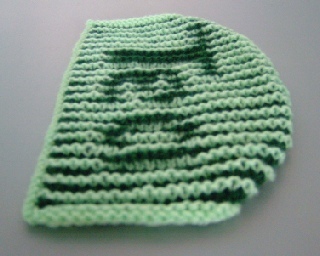 If there is a difference, these cosies fall on the shadow side of the definition. 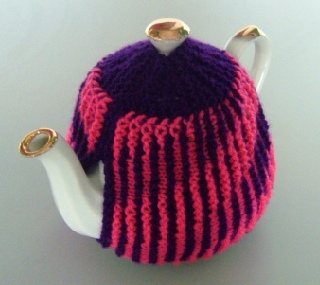 Illusion knits work best when they are flat so we knew that trying to create an illusion round a teapot would be tricky. We tried to add the word Tea on one side of the cosy and a picture of a cup on the other but they were too curved to be easily seen. 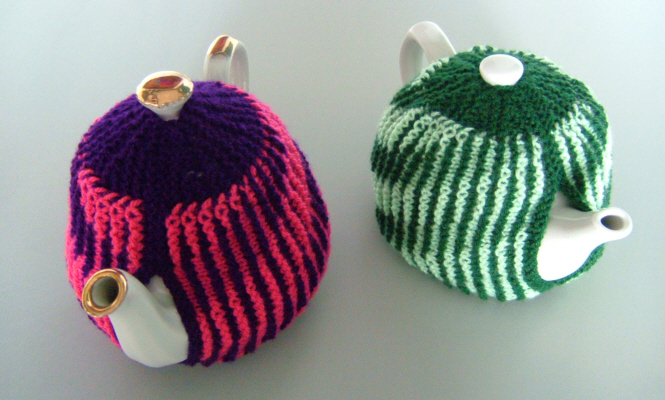 The final designs consist of stripes which come into view and disappear again as you move round the teapot. 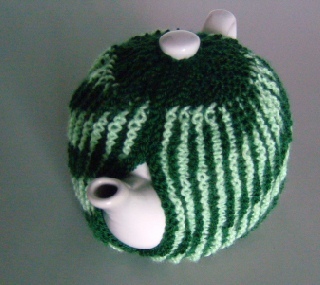 The green version has stripes which seem to spiral all round the teapot. The pink/purple version has stripes which all point towards the spout and appear to meet as large chevrons. The pattern includes the charts for Tea and the picture of a cup.